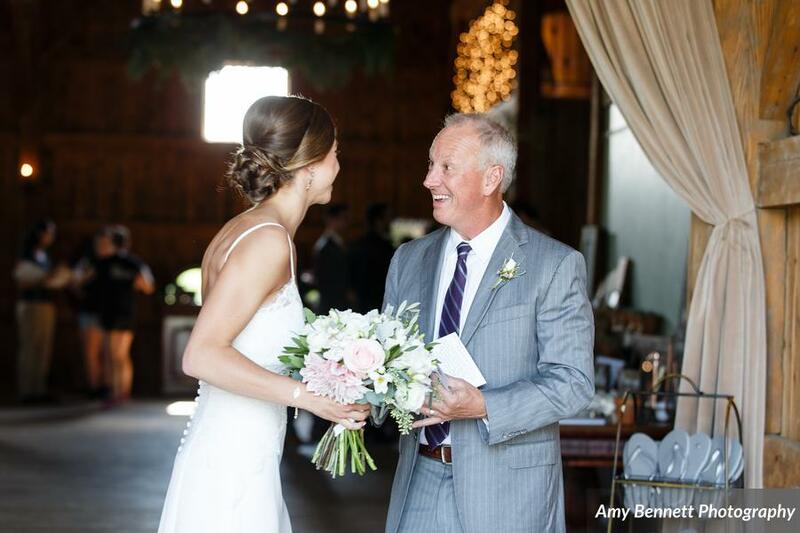 A big thanks to Amy Bennett for sharing these beautiful photos of Kelsey and Anthony’s destination wedding at The Lang Barn Farm in Essex, VT. 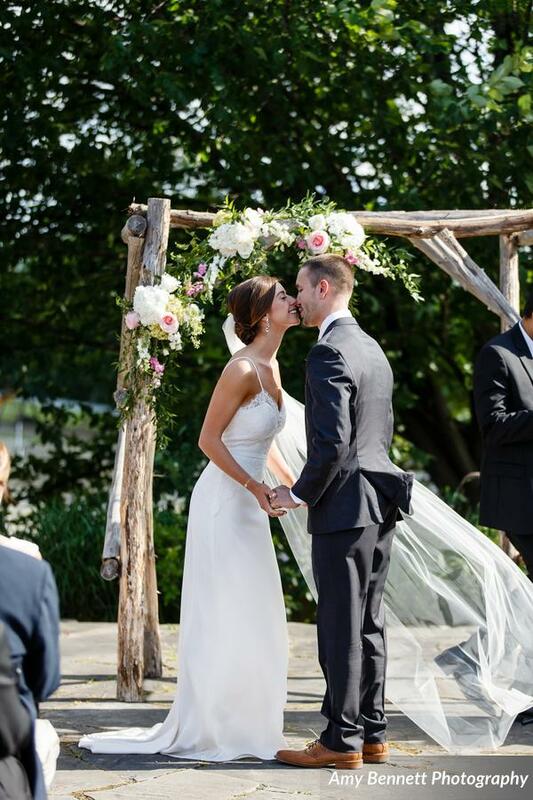 The inspiration for this wedding was a natural, romantic vibe with lots of greenery and a palette of whites, pinks and touches of lilac. 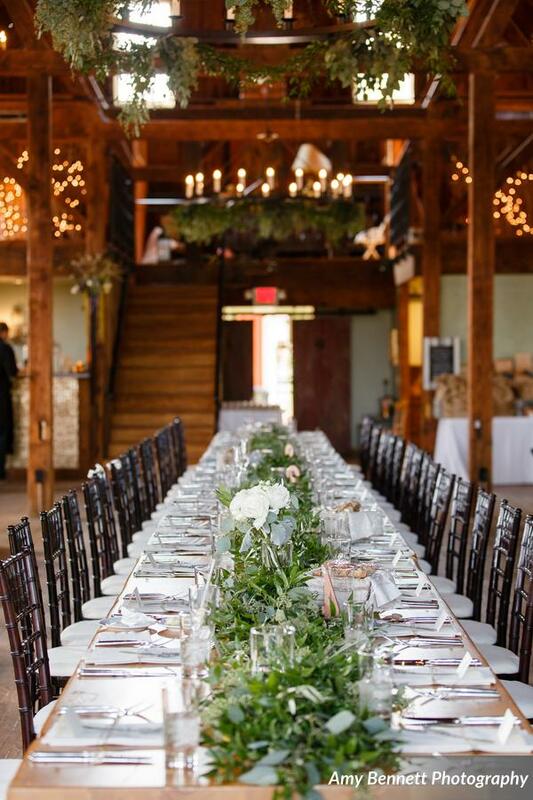 A fresh table runner on the long head table was a centerpiece of the reception decor and chandeliers with draping greens tied the whole room together. Flowers featured here include: cafe au lait dahlias, roses, ranunculus, freesia, hydrangea, hypericum berries, olive branches, bay leaf, eucalyptus, ruscus, smilax, and dusty miller. 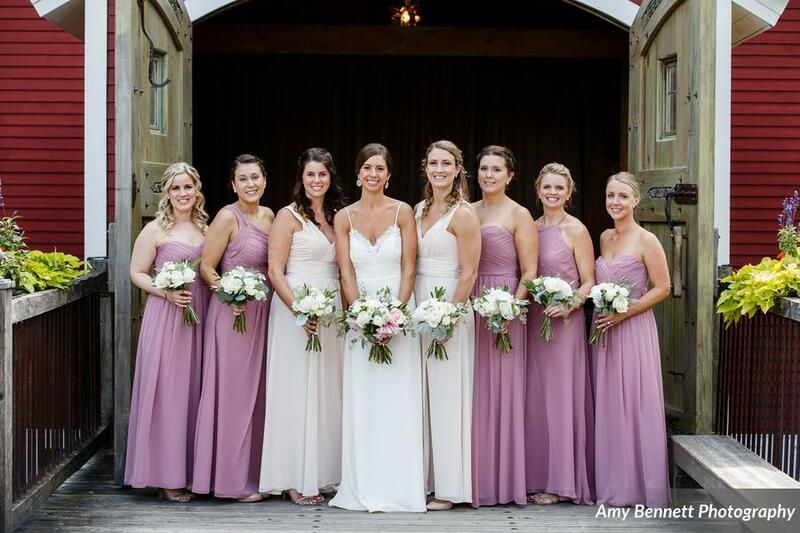 While the bride chose this lovely soft lilac color for her bridesmaids’ dresses, she did not want pinks to be prominent in her flowers; greens & whites were the main floral palette and touches of dahlias and waxflower added a small pop of pink. 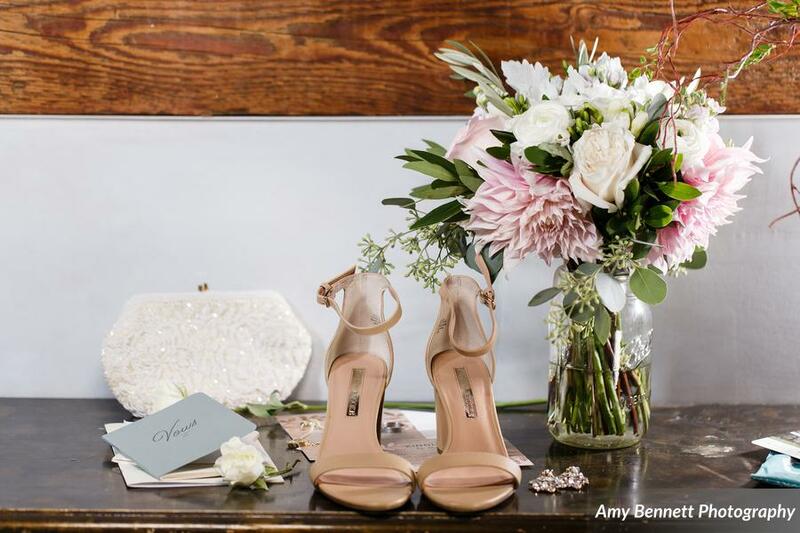 There was a certain laid-back easiness to the floral design for this wedding. It’s not “wild”, it’s not “messy”, but it’s also not overly manicured or fussy. It’s simple in its elegance, it’s subtle in its nod to the unkempt and it’s undoubtedly timeless. 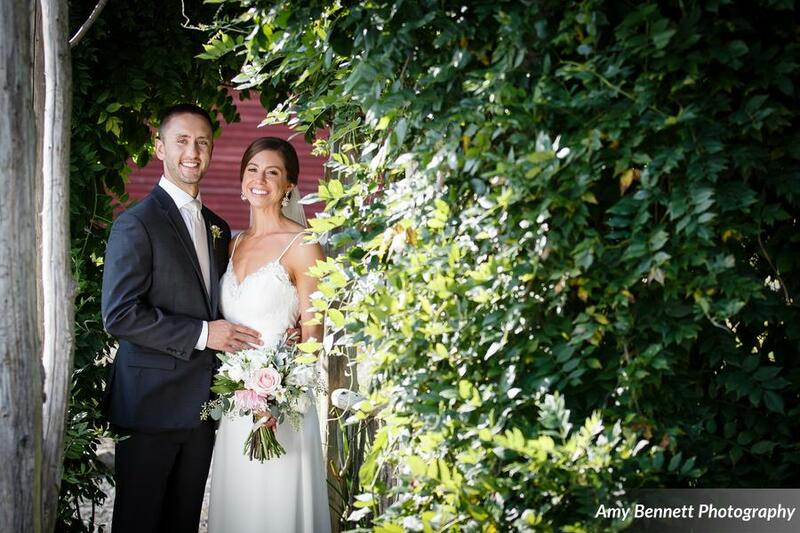 Congratulations to Kelsey & Anthony! 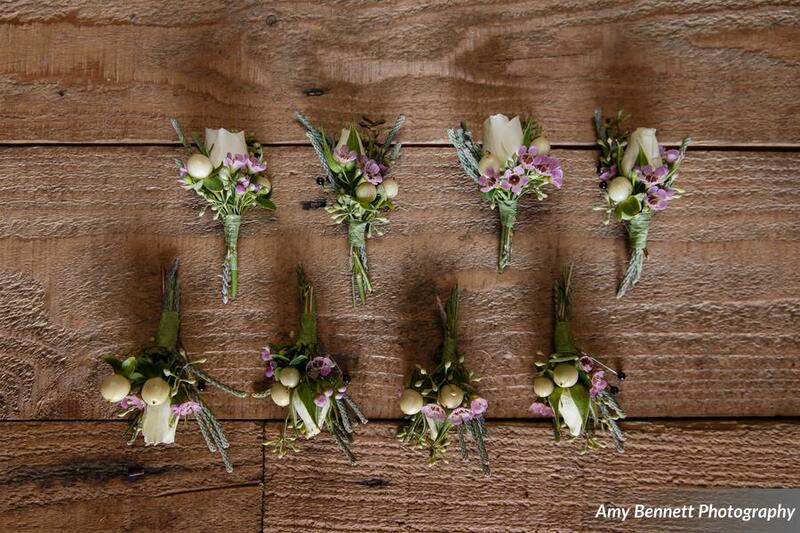 And thanks again to Amy Bennett Photography for sharing her work with me so that I can share it with you! 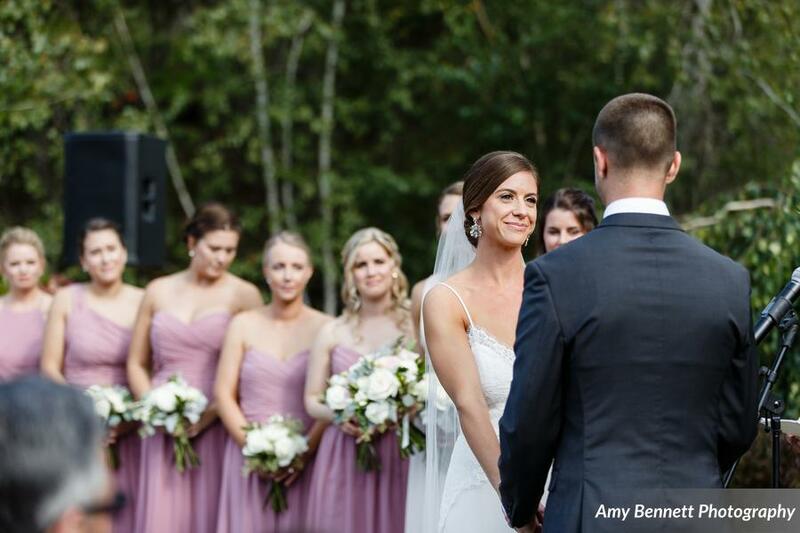 Click here for more info on planning a destination wedding.